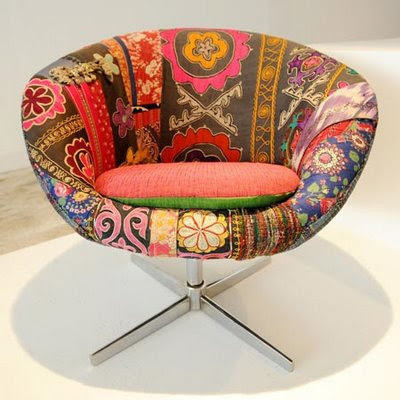 I've been in love with Bokja ever since I first saw the colorful chairs and seatings in my friend's place a few years back. Then last year my other friend had a bokja chair and she told me she got it from Dar.Nur (remember I mentioned the shop in an earlier post, if you were reading;p). Bokja is a company owned by Maria Hibri and Huda Baroudi and is based in Beirut, Lebanon. 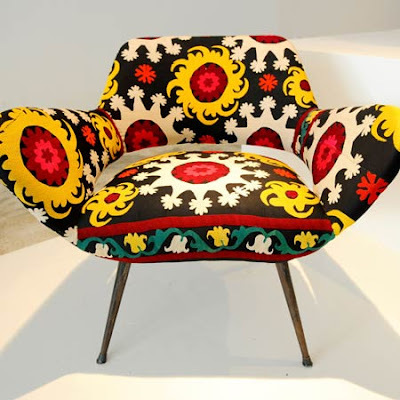 The company creates chairs and several types of seatings using embroidered or printed pattern textiles of vibrant colors. These materials used come from Lebenon, Syria, Turkey, and Ouzbakistan. 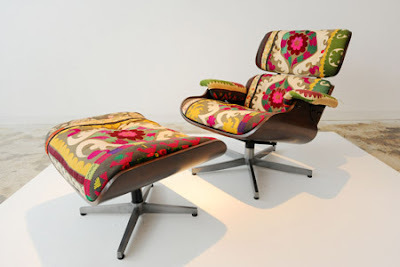 Some of the pieces look vintage and others have a mix between the traditional and the contemporary. 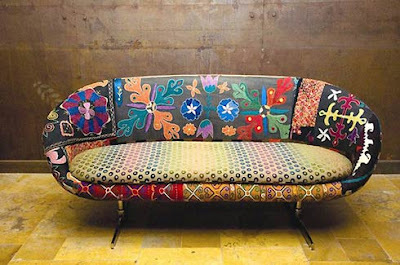 Bohemian is the best word to describe them and I love boho.